Dr Peter Jonason will explore research as to why some people like atheists in private but less in public. Across three US studies, the impact of perceived social norms on attitudes and positive behavioral intentions towards atheists and religious believers were investigated. Reported attitudes, reported acceptability of expressing positive and negative attitudes, and reported positive behavioral intentions disproportionately favored religious believers over atheists. However, participants reported a higher likelihood of engaging in positive behaviors towards atheists when the threat of public scrutiny was limited, indicating that the social norm in the U.S. may be suppressing privately held, positive behavioral intentions that would otherwise support atheists, creating a state of pluralistic ignorance. Other factors will also be discussed. Dr. Jonason earned his B.A. in Communication Science and Political Science and his M.A. in Communication Science from the University of Connecticut. 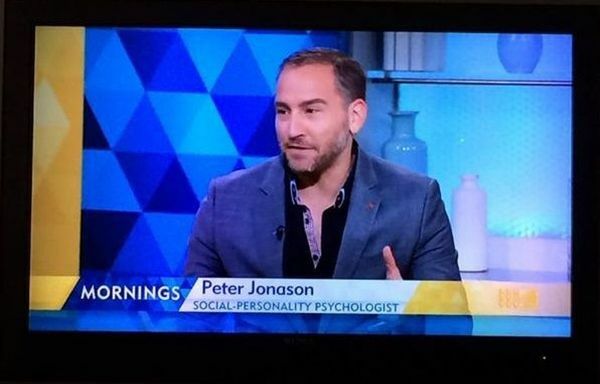 He earned his Ph.D. in social psychology from New Mexico State University. Since 2011, he has been in the School of Social Sciences and Psychology at Western Sydney University. He has authored more than 75 publications during his career; 20 in 2015 alone. In 2014 he won the IgNobel award in psychology and in 2015 he served Visiting Scholar positions at Lomonosov Moscow State University and the University of Western Ontario. The entrance is 20 metres across Gibbons Street from Redfern Station under the SPAR sign. You can walk up the stairs, the escalator or use the elevator to the 2nd floor where the club is located.